The flight, which was on its way to London, veered off the taxiway as it headed to the runway and buried its right wing in the 2-storey brick structure, injuring four airport officials, Daily Mail reports. 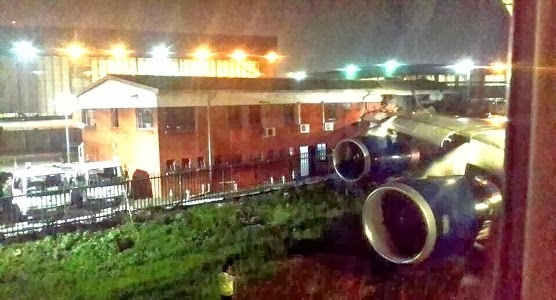 A statement from the South African Civil Aviation Authority's (SACAA) preliminary report, said the aircraft was cleared for takeoff on Runway 03L but took a smaller runway. 'The air crew got instructions from the Air Traffic Control to taxi using taxi way B. The crew continued onto taxi way M which is narrower resulting in the aircraft impacting on an office building behind the SAA Technical hangers. 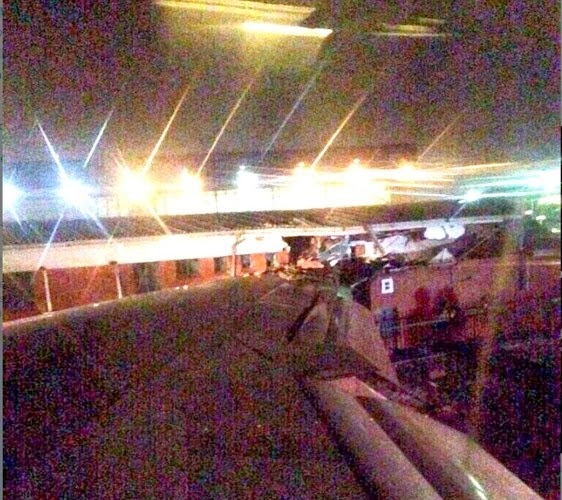 A spokesman for OR Tambo airport said the 17 Crew and 185 passengers who were in the aircraft escaped unharmed. They were evacuated from the aircraft and spent the night in a hotel.